If you are not familiar with IGS’ Overtake, then there is no need to fret – while the game has been available for purchase for a few years already, I know of very few locations in the US to get their hands on one. It is similar in several aspects to Raw Thrills’ The Fast and The Furious series but with a focus on “disaster events” that you have to drive through alive or avoid. I captured some footage of the standard version of the game at IAAPA 2014 which you can watch here if you are interested. That doesn’t provide us with a ton of information – I get a little bit of an Out Run 2 vibe though as you have your virtual girlfriend along for the ride. 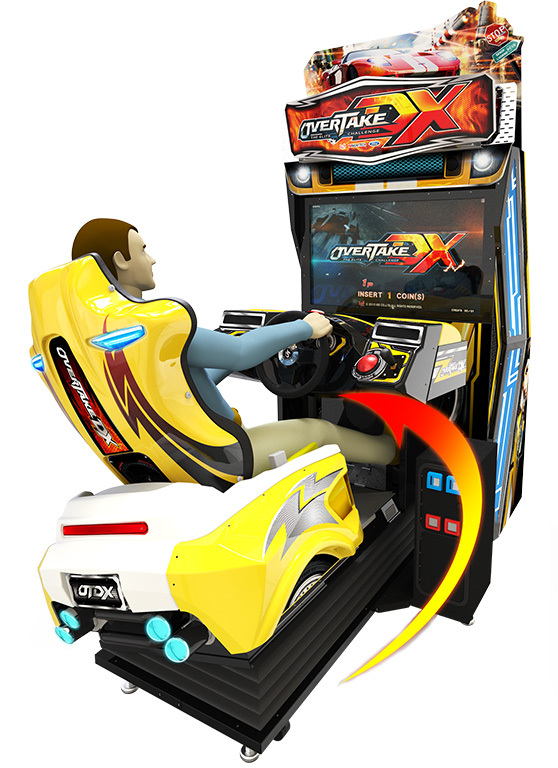 I’ll operate under the assumption for now that the game uses the OverTake DX cabinet instead of the standard one as there is no image of what the cabinet looks like at the moment. What do you think? Would the addition of a VR HMD to an arcade game entice you to play or would you rather stick with the tried and true flat displays?